Thank You so much to Claire from At Your Wish cakes. 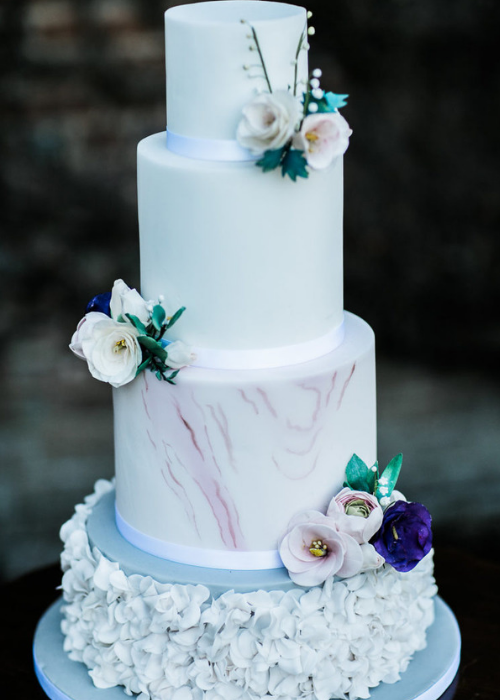 We met Claire at a wedding fare where we saw all her beautiful cake designs on display and knew she would be perfect for what we were looking for. The tasting was amazing and we knew after that exactly what flavours we wanted - Victoria sponge, lemon and red velvet. Claire always listened to exactly what we wanted, even though we changed our mind a few times!! We were blown away when we saw the cake on our day. Our guests all commented on how beautiful it looked too and it tasted great! Thank You so much! Exquisite, delightful made-to-order cakes for all occasions. Claire is outstanding; her attention to detail is phenomenal and the cake itself is truly delicious. Can’t recommend Claire enough - an incredibly talented and professional lady. Her sketches fulfilled our brief and she more than delivered with our wedding cake. The cake not only looked the part with intricate detailing and modelling, but tasted incredible. My favourite flavour was the vanilla sponge with white chocolate and raspberry compote - so much so we have ordered another cake for our baby shower. Thank you so much Claire! Just wanted to say that Mum was really thrilled with the cake. It was a highlight of her day. She wouldn’t cut it until the book club and bridge friends had seen it …Thank you for being so innovative. …The flowers are particularly amazing – so lifelike. I do hope your business thrives as it should and I am trying to think of an occasion when I can commission another cake! Our wedding cake was designed and made by Claire, it looked amazing and tasted fantastic! Claire took inspiration for the design from details on my dress with flowers, lace patterns, ribbon, sparkle and even the tiny buttons running down the back which really made the cake look so beautiful and individual. 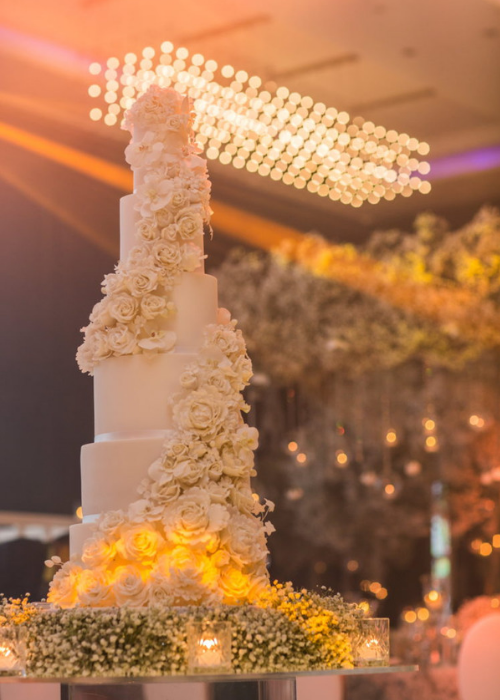 Everyone commented on how gorgeous it was to look at and also to eat – we had 4 tiers with 2 lemon sponge and 2 chocolate, it was so moist and flavoursome with just the right amount of icing. We were so happy with the cake and would absolutely recommend Claire to anyone who is looking for a cake. I have also had cupcakes and a birthday cake made by Claire on other celebratory occasions, I cannot fault her eye for detail and they always taste amazing! Thank you Claire! Despite not knowing what we wanted Claire showed great patience and helped us create the most amazing wedding cake. To top it off the flavours were out of this world. Cannot recommend Claire enough!! Thank you so much for making our day so special. Claire made us an outstanding wedding cake. I first tasted Claire’s cakes at a wedding fair and they were by far the best I had come across. It didn’t take much for my husband-to-be to agree and after a generous tasting session we decided on toffee for the bottom tier with the rest as red velvet. It was a total WOW! with our guests too. I have no hesitation in recommending Claire who is truly professional, true to her word and a most excellent baker. Thank you Claire for helping make our wedding day extra special. Your complimentary tasting consultation. Join me at my at-home studio to try a range of cakes and flavours. 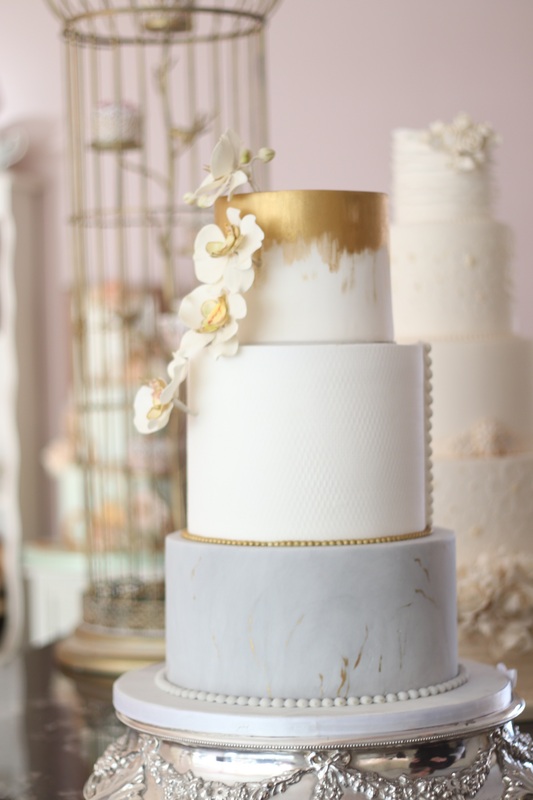 We’ll chat through what it is you’re looking for and the design of your dream wedding cake. To book your tasting, give me a call or drop me a quick message below and I’ll get back to you shortly. From multi-tiered masterpieces to the seriously stylish deconstructed wedding cake, impress your guests and make a real statement. Whether you’re looking for delicious wedding favours or just an extra treat for your guests, serve up these hand baked goodies. 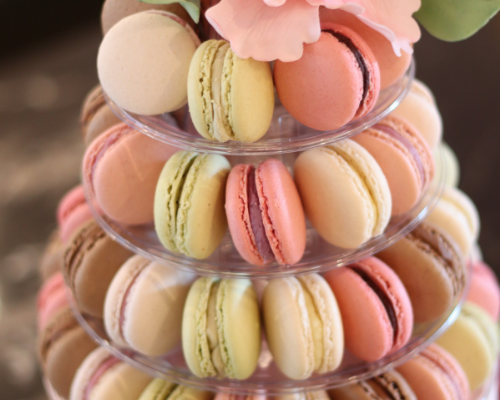 Something sweet and delicious for every event, from birthdays to wedding anniversaries and everything in between. So much more than a delicious addition to your wedding day, let your cake be the wow-worthy style statement to impress your guests with. Here are some of the biggest cake trends couples are asking for this year. Feminine but sophisticated and a little bit quirky, the marble finish is achieved by kneading together different shades of icing. 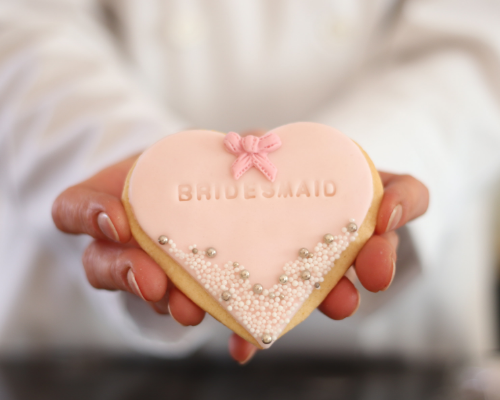 Pop the question to your bridal party with something delicious. More and more, couples are choosing to ditch the usual sponge and icing in favour for a sweet treat that is more personal to their tastes and style. Featured in the press, see my top cake trends featured on East Life magazine. My passion and knowledge for baking goes right back to 1880, when my Great Grandfather opened a small bakery in Kent. Both the bakery and my Great Grandfather’s love and talent for all things cake were passed down to my Grandfather, who was an expert in Royal Icing, and then my Father, who specialised in chocolate work and marzipan. It was at the family bakery where I fell in love with the industry myself. I spent a lot of time there, working, learning and soaking up the deliciously warm and happy atmosphere that came from making and delivering beautiful baked goods to our customers. I chose not to take over the family business and instead start my own cake company, working from my at-home cake studio and specialising in weddings. 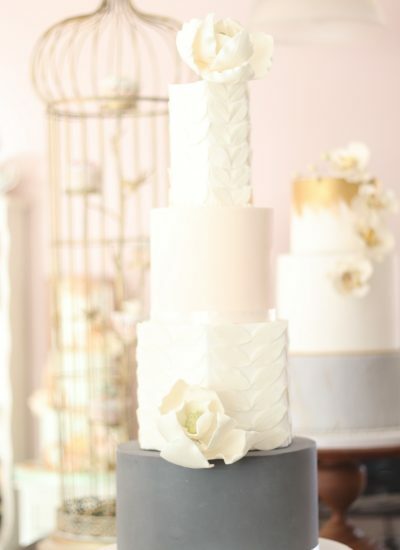 Wedding cakes give me the opportunity to indulge in my love of both sugarcraft and intense flavour, creating a centrepiece that is as delicious as it is beautiful. Looking for a cake that is as delicious as it is pretty? Get in touch and let’s chat. © 2019 At Your Wish Cakes. All rights reserved. Website lovingly made by Weddingly.